Khulna, Aug 20 (Just News) : At least two were burnt to death and nine others injured in a fire at Meghna oil depot in Khalishpur, Khulna on Monday. The fire broke out around 11:00am. 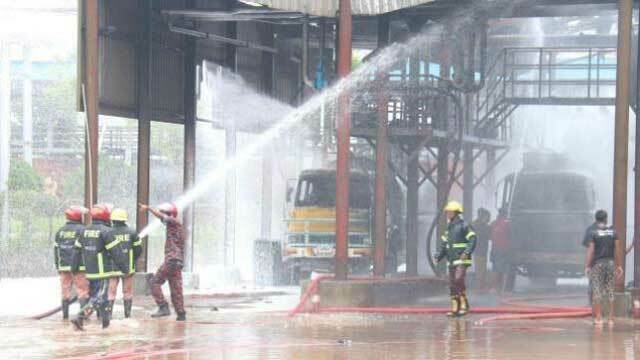 On information, a group of fire fighters from Khulna fire services arrived the spot and doused the fire in half an hour, said the assistant director of Fire Service and Civil Defence, Khulna. Several among the nine injured admitted in Khulna Medical College Hospital are in a critical condition.